So you like the idea of a beautiful and elegant bathroom? 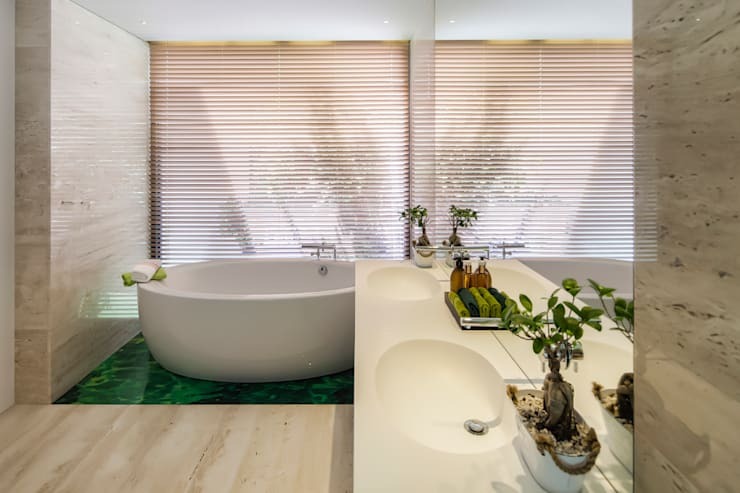 A place to relax and unwind daily, whether it be soaking up the suds of a bathtub, or enjoying the cooling and refreshing water of a rain shower to get you started, there are some amazing modern bathroom ideas to make you feel like you’re visiting an expensive hotel… daily. In this Ideabook, the homify team has consulted with bathroom designers to bring you 8 sensational bathrooms to suit your home. Let’s be inspired! Making use of a large window for your private bathroom is a great idea. This will flood the space with natural light and a warm atmosphere throughout the day. But, it is important to consider including some curtains to ensure that the bathroom is in fact private at any time of the day or night. 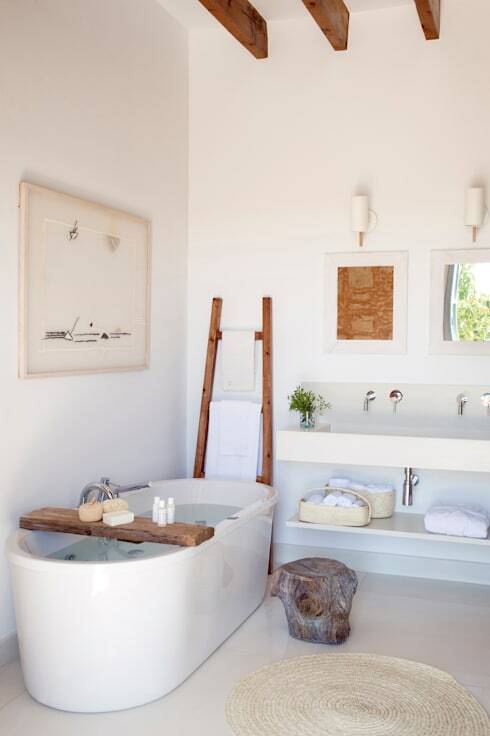 A comfortable bathroom that is a Mediterranean inspiration is a great choice for any home. 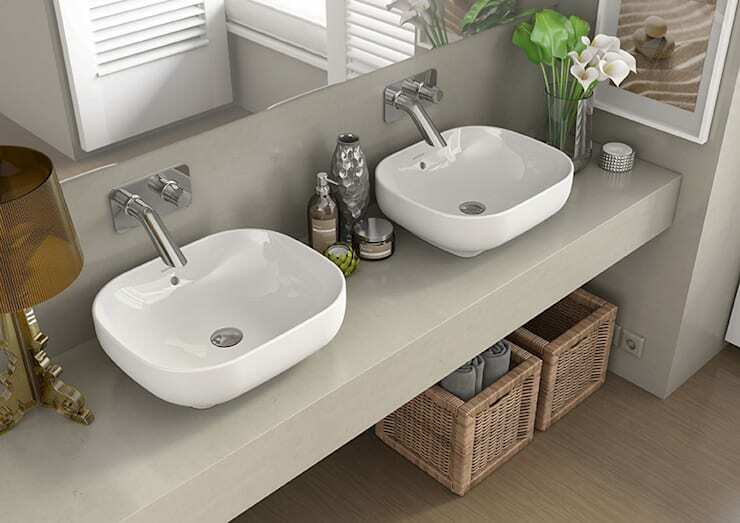 The use of neutral colours, accentuated by wooden features is comfortable and tranquil too. 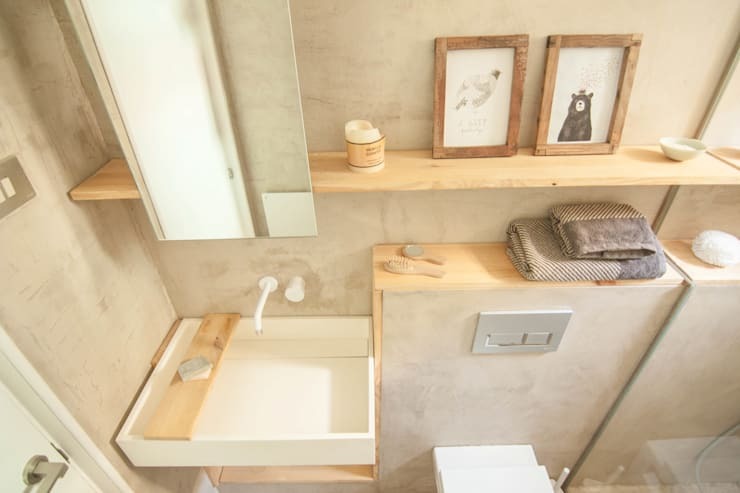 It’s the details of this bathroom that counts the most to make it fantastic, everything from the small wooden chair, small table on the bathtub, and even a wooden ladder that is now towel storage makes this rustic design amazing. Plants are a great way to add some vibrancy to a dull home, and the effect on the bathroom is just as attractive and positive. How about making green the accent colour by adding a lovely green rug and towels too? The small details that have been included in your bathroom definitely add a professional touch. Go for fresh flowers, perfect soaps and hand creams and how about wicker baskets for extra storage. Don’t forget that a large mirror is also necessary to make your bathroom appear elegant. A sensational bathroom would not be complete without some modern elements. 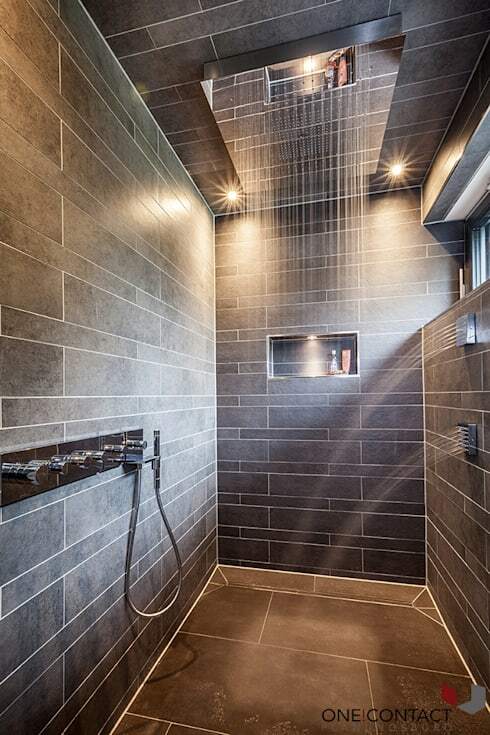 The unique effect of a rain shower or some innovative taps will make you feel refreshed and rejuvenated every morning, much like taking a shower under a waterfall. Make your shower spacious and never feel claustrophobic again. Planning the bathroom to be functional and practical is definitely a solution to any problems that may arise. Consider including wood for a luxurious yet natural touch and accentuate it with other neutral colour décor and create a trendy bathroom solution too. 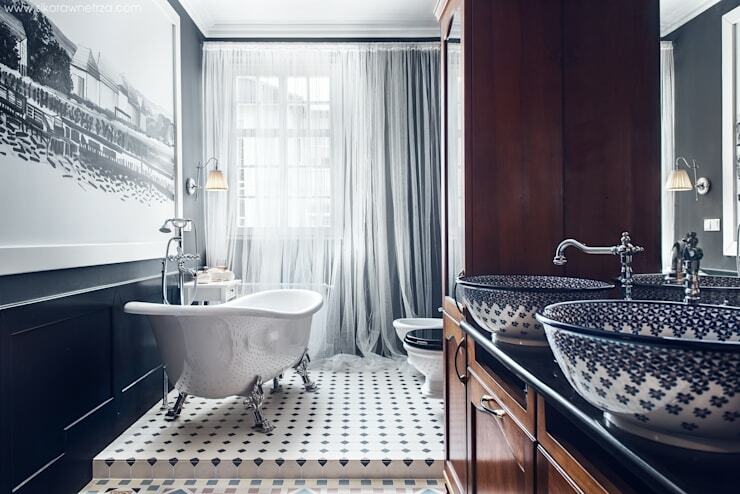 For some, a bath tub is the perfect end to a long day, so make your bathroom unconventional with a stylish choice. Adding some wooden panels to your bathroom walls will recreate an outdoor cabin experience, now all you have to do is use your imagination and dream about the ideal setting. 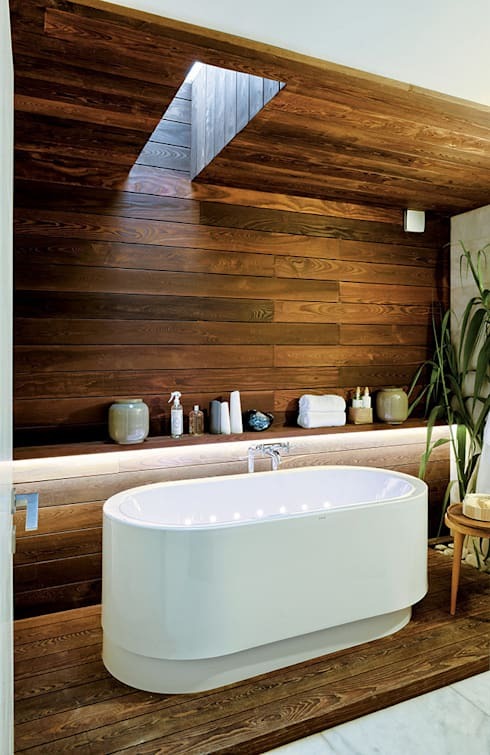 The shape of this tub is unbelievably elegant, don’t you think? 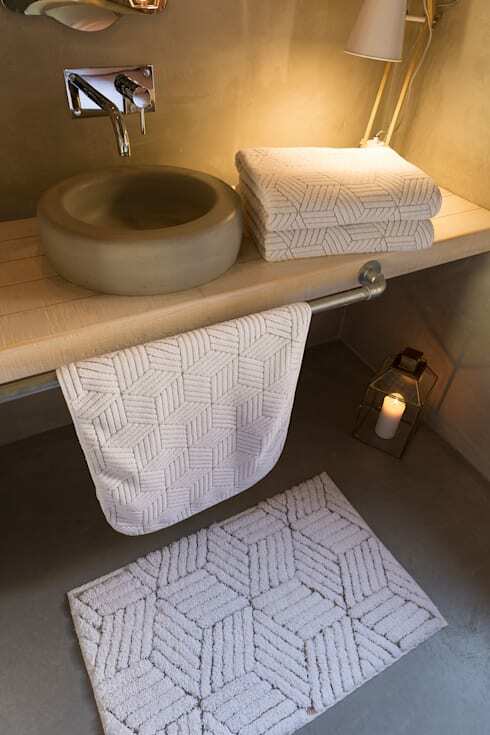 Which is you top pick for bathroom decor?